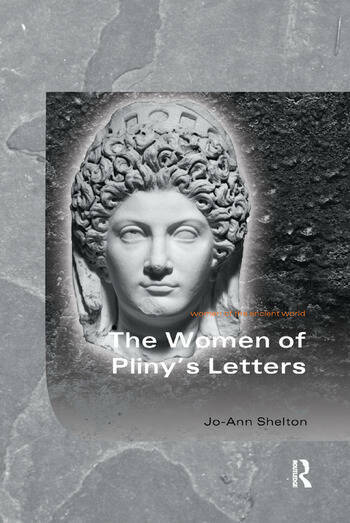 Pliny's letters offer a significant source of information about the lives of Roman women (predominantly, though not exclusively, upper-class women) during the late first and early second centuries CE. In the 368 letters included in his ten published books of epistles, Pliny mentions over 30 women by name, addresses letters to seven, and refers to well over 40 anonymous women. Many of the references are brief comments in letters whose topics are the activities of Pliny's male acquaintances. Nonetheless his letters inform us about the roles of women in Roman families, marriages, and households, and also record the involvement of women in such matters as court cases, property ownership, religious orders, social networks, and political activities. This book has two aims. The first is to bring these women to the foreground, to explore their kinships, relationships, and activities, and to illuminate their lives by viewing them in the social, cultural, and political environments of the period in which they lived. This book utilizes historical, literary, legal, and epigraphical sources to examine the events, circumstances, and attitudes that were the contexts for the lives of these women. The first aim, then, is to gain insight into the reality of their lives. The second aim of this book is to investigate how Pliny defines the ideal behavior for women. In his accounts of the actions of both women and men, Pliny frequently shapes his narratives to promote moral lessons. In several of his letters about women, he elevates his subject to the status of a role model. The second aim of this book is to use the descriptions provided by Pliny to acquire a better understanding of what behavior was admired in Roman women of this period, and to consider how the concept of the model Roman woman is constructed in Pliny. Jo-Ann Shelton is Research Professor of Classics at the University of California, Santa Barbara.